Do you love to dance or wish you knew how? 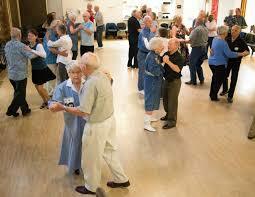 Join others with memory loss and their care partners at Arthur Murray Dance School in Bellevue every Saturday morning. Learn a few ballroom dance steps and/or hone your existing skills. Bottom line... enjoy the music and being together. Individuals with all stages of memory loss and care partners are invited to join in. Offered by Arthur Murray Dance Schools in partnership with the Alzheimer's Association.